Gearheads is an automotive adventure micro-RPG which lets you play out a particular brand of motoring hijinks. Players take the role of a producer and two to four presenters on an acclaimed TV car show. With a collection of junkers, beaters, and jalopies, the presenters face a series of challenges to determine whose car is best. 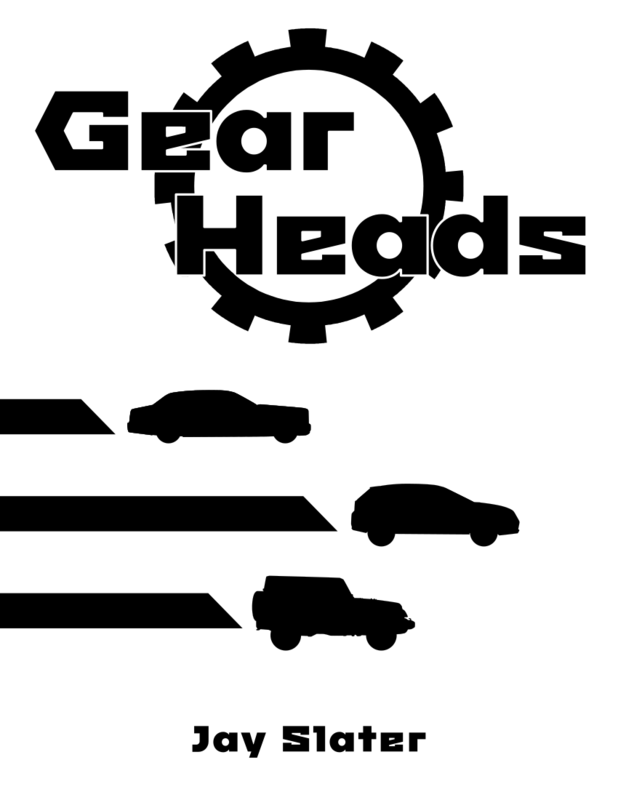 Designed with one-shots in mind, Gearheads fits in its entirety onto four pages—just the right size for a DriveThruRPG gamemaster screen. Ultralight characters, cooperative car generation, and a simple highest-roll-in-d6-pool core mechanic ensure a minimum of time spent on learning and setup, leaving more time for playing. Is your presenter slow, plodding, and nitpicky? He has more dice in Knowledge. Is your presenter fast, oafish, and loud? He has more dice in Power. That's all you need to know. More important than the presenters are the cars they bring to the table. Gearheads' rules for cars drive the drama of breakdowns and roadside repairs to the forefront. Each presenter designs a pair of cars by assigning dice to its dice pools. He then picks a car from the set designed by his colleagues. Gearheads is a story-focused game, short on in-depth rules and long on advice for more closely mirroring the motoring adventure show genre. Introduce your cars, mock your colleagues' choices, and tackle the producer's challenges, all with minimal interference from the rulebook. The car graphics on the cover are designed by Freepik.com.